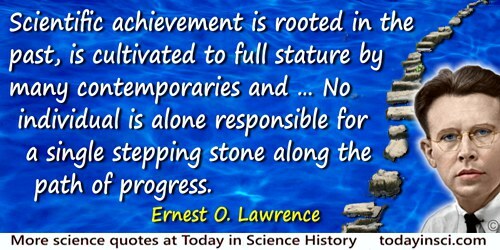 I am mindful that scientific achievement is rooted in the past, is cultivated to full stature by many contemporaries and flourishes only in favorable environment. No individual is alone responsible for a single stepping stone along the path of progress, and where the path is smooth progress is most rapid. In my own work this has been particularly true.